Riding with luggage without compromising aerodynamics and comfort with the special M5 recumbent bags. 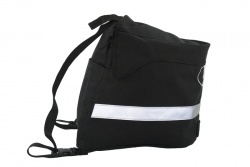 Suitable for most models from M5: light weight bag (90 x 90 x 18 cm). Take a complete M5 Recumbent with you in plane, car or train! 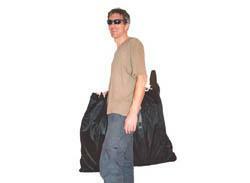 The M5 top bag is available in 17 and 27 litres. This bag is suspended on the top of the seat.